Welcome to the new Deeper Blue.  We have come to realise that we have experts in a variety of fields working for us, and as such have combined Scuba, Freediving and Travel resources under one roof here at Deeper Blue. The forums have been revamped for the relaunch to include an expanded set of topics. Feel free to post your questions, opinions or comments to any of the forums and join the global community that is Deeper Blue. Don't worry if you have already registered and posted to the forums before, your user details are still stored in the Database so you don't need to re-enter them. I look forward to seeing you in discussion! I'm frankly surprised to be the first to compend you on your comprehensive website. I am impressed by your variation, and scope for us scuba divers, I like the icons too, keep it up Super Steve Whelan, by the way have you lost your cape? Thank you for your kind words...my cape you refer to is in my cupboard at the moment, awaiting my next superhero mission. Anyway, thanks for your comments, your the first in the public forums but i've received many an email about the site! What do you think of the new Red Lpbster commercial? The one where the kid sees the shark and everyone yells "get it" and jumps into the water. It's an Oldie but a Goodie...kind of like me.